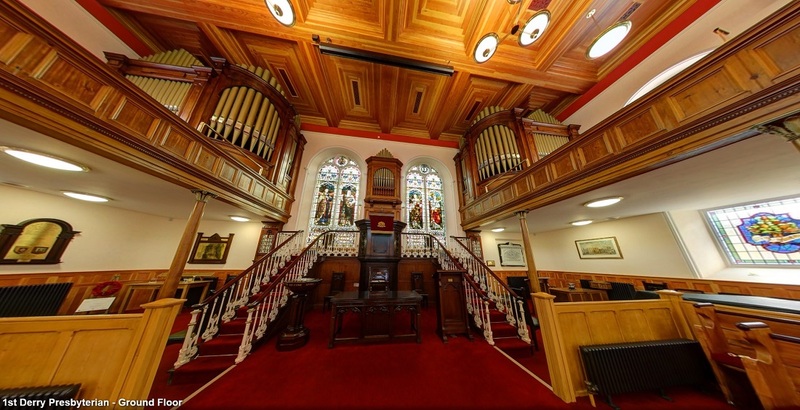 Friday 12th to Monday 15th April a number of the choir visited Londonderry. 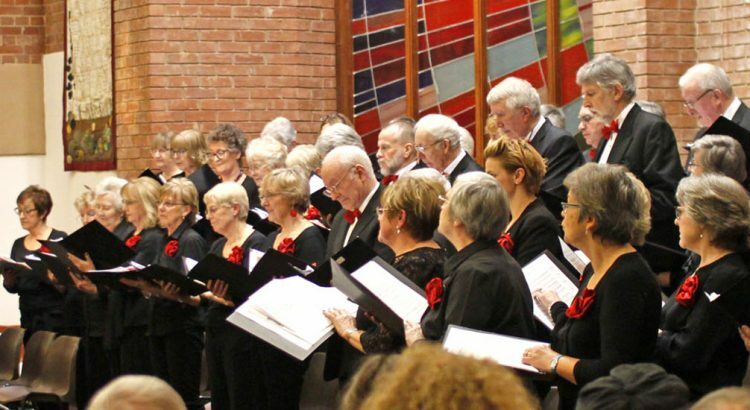 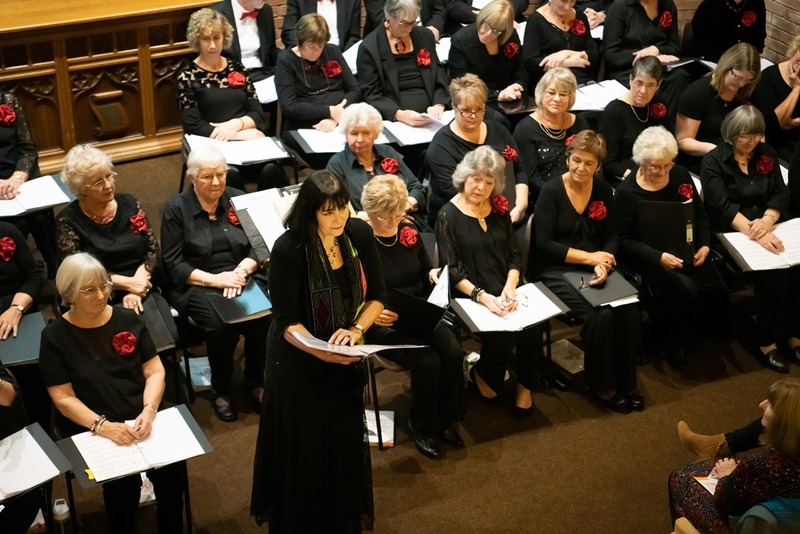 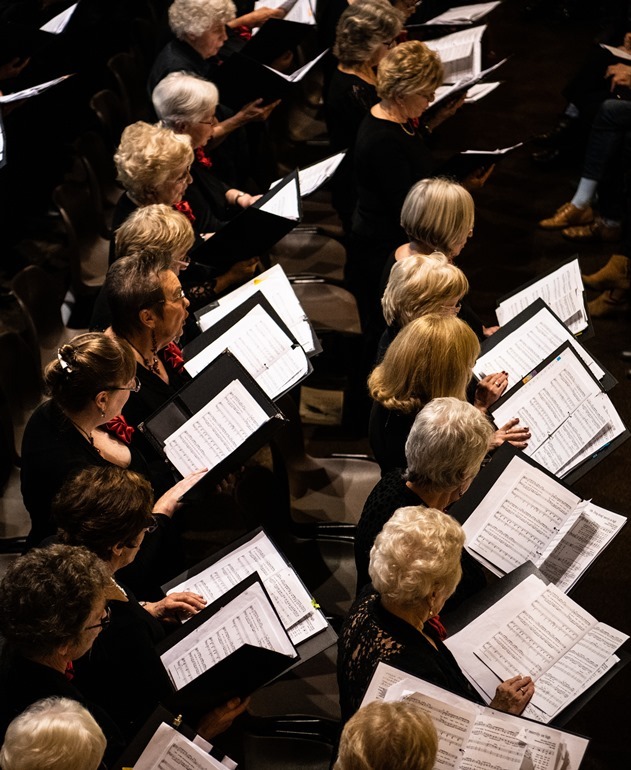 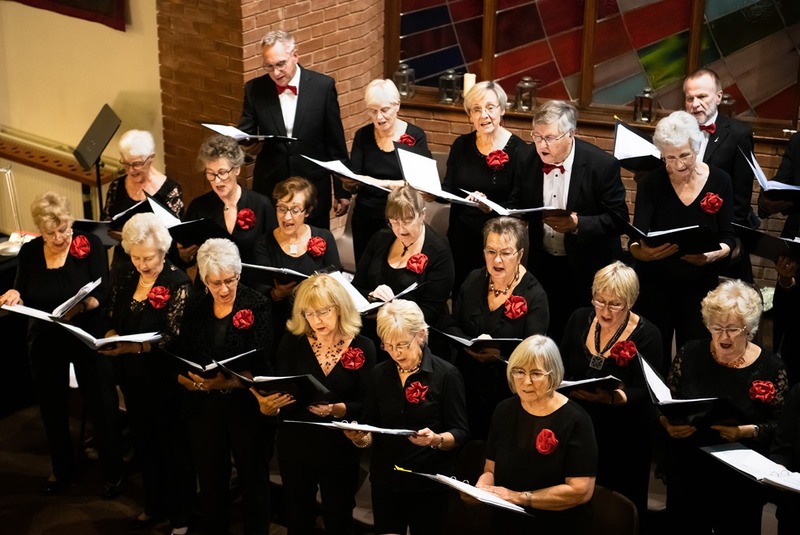 During their stay they were joined by Thornhill Chamber Choir and Colmcille Ladies Choir in concert on Saturday 13th April at the First Derry Presbyterian Church where £820 was raised in aid of The North West Cancer Centre. 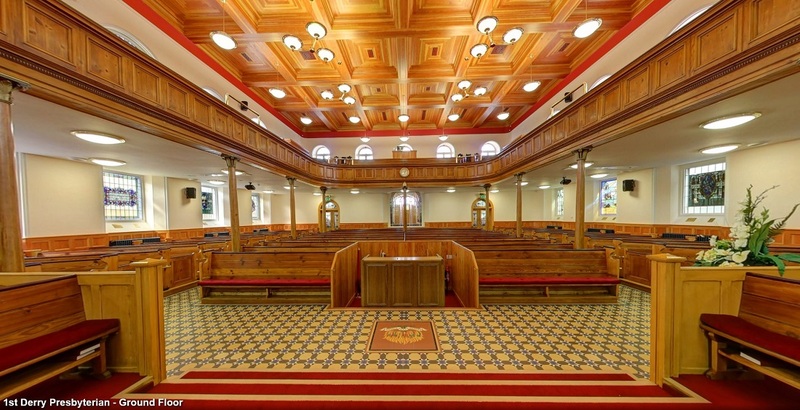 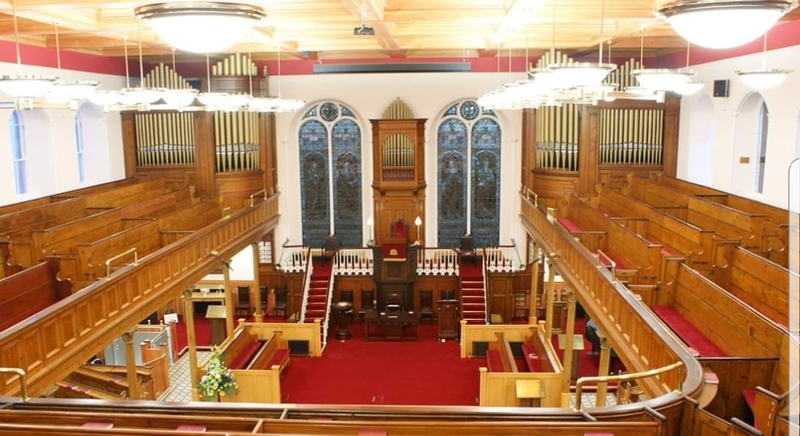 The choir also attended and sang at the First Derry Presbyterian Church Service on Sunday 14th April officiated by the Reverend David Latimer the church minister. 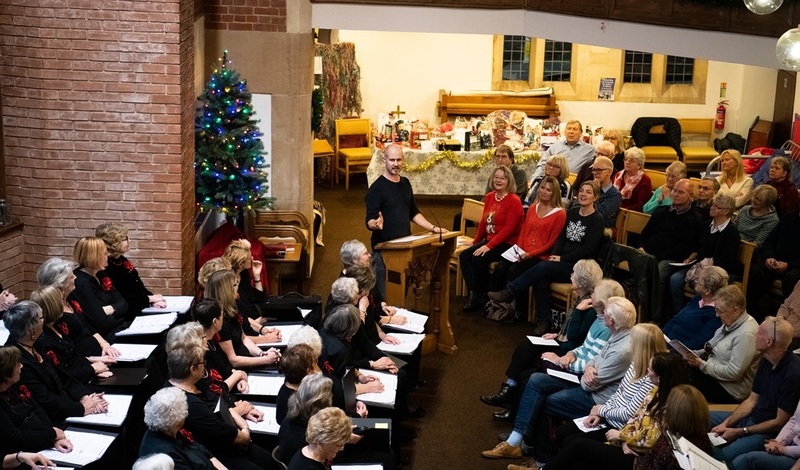 We are so grateful that David McGuckin, the superb church organist, was able to accompany the choirs and congregation, on piano and organ, at both the concert and Sunday service. 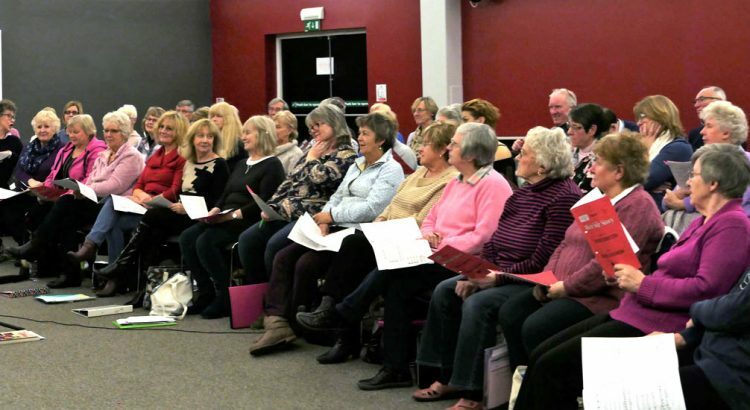 The visit to Derry was masterminded by our musical director, Trevor Barr; and during our stay he introduced us the architecture, history and culture of his home city, as well as finding time to rehearse and conduct the choir. 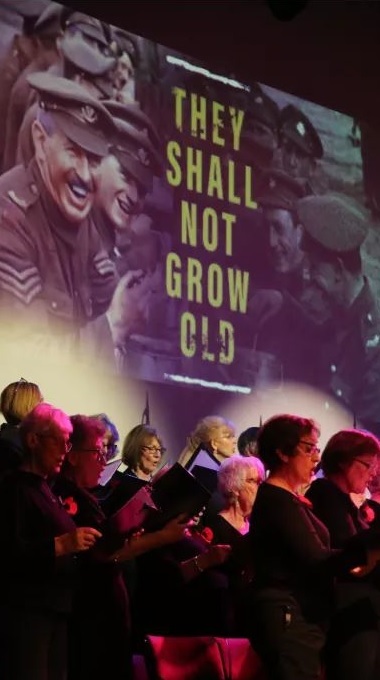 Our grateful thanks go to Trevor and all who helped to organise our very successful and enjoyable time in Northern Ireland. 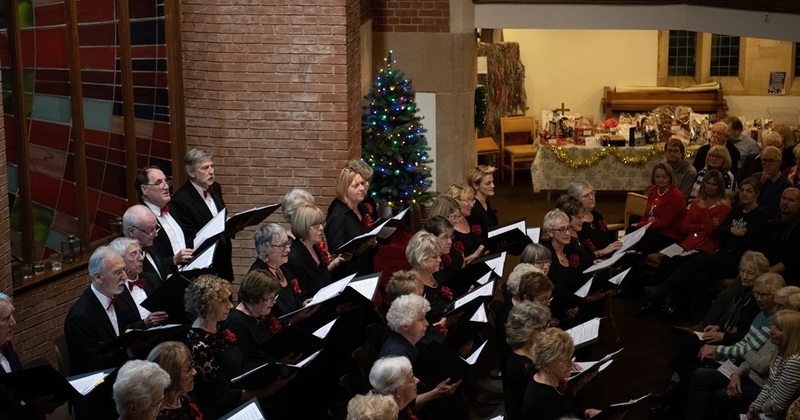 More choir photos will be added to this page as they become available. 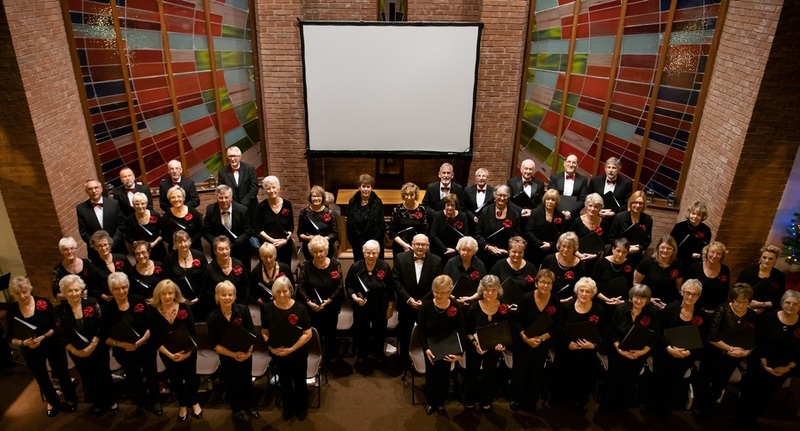 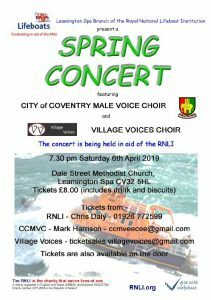 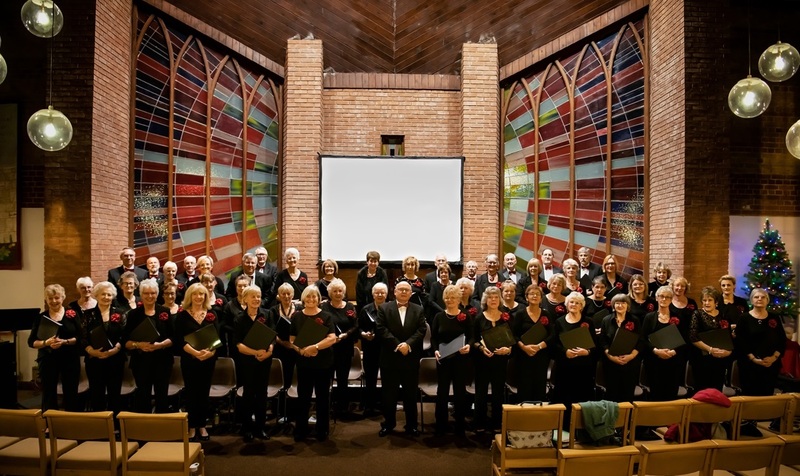 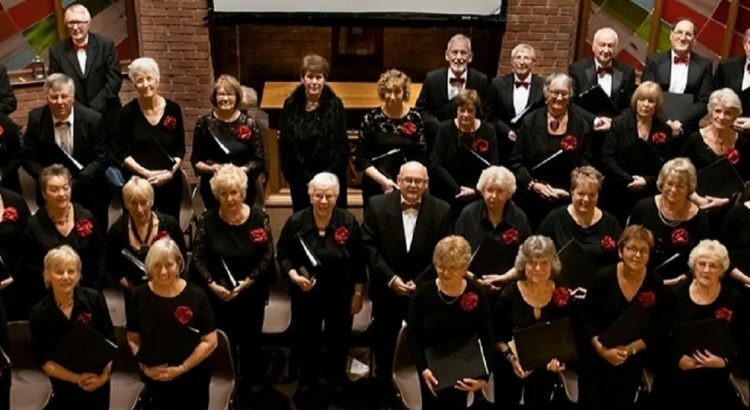 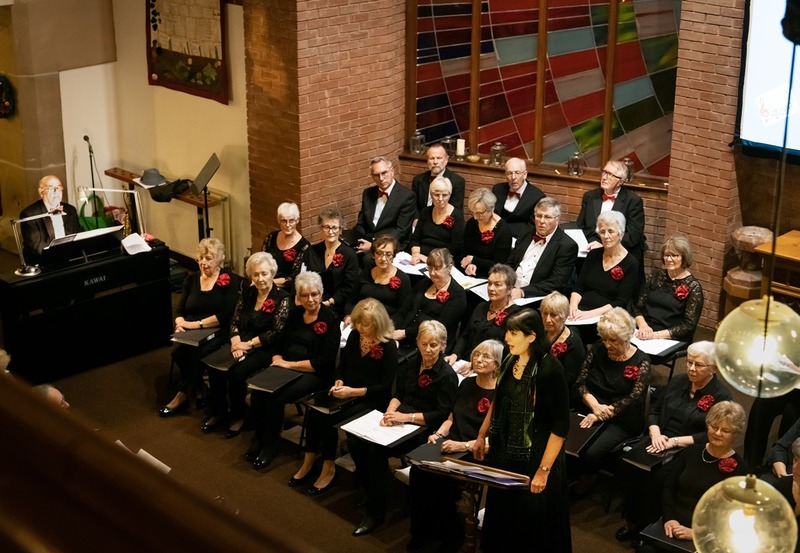 On Saturday 6th April Village Voices combined with the Coventry Male Voice Choir presented a concert at Dale Street Methodist Church, Leamington Spa in aid of the Royal National Lifeboat Institution. 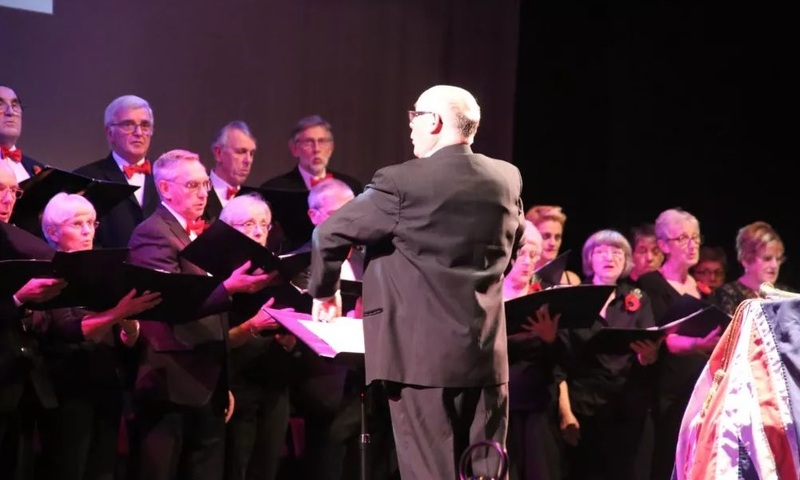 Funds raised at our concert on 24th March 2018 were presented to Helping Hands by choir members. 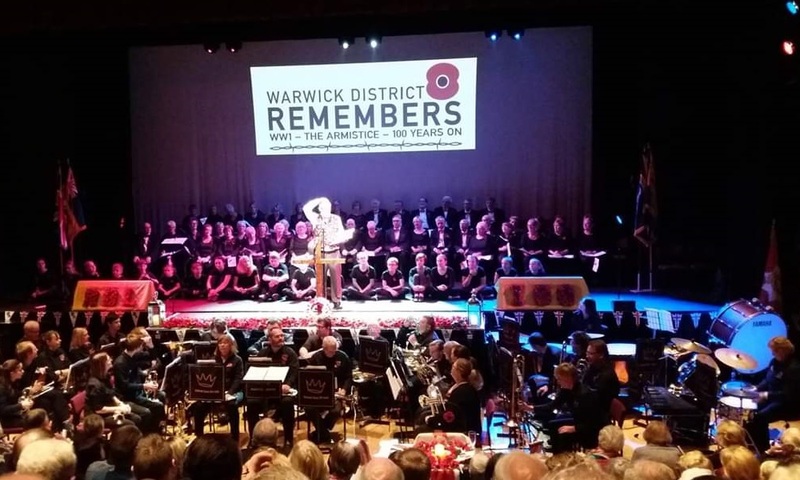 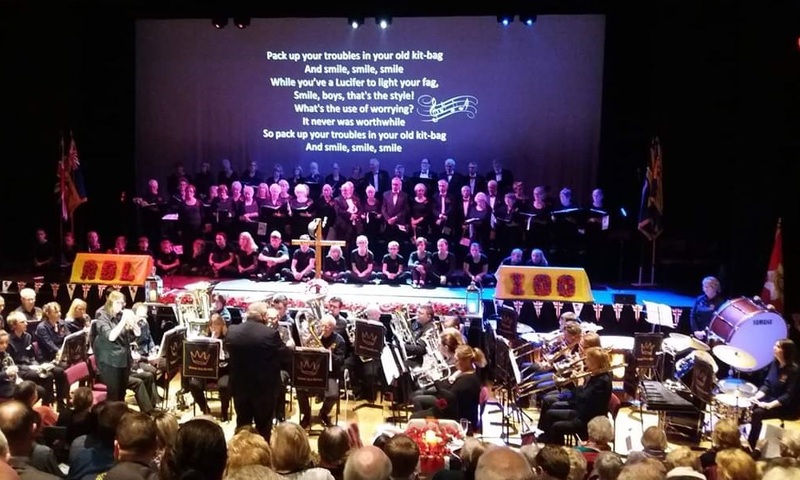 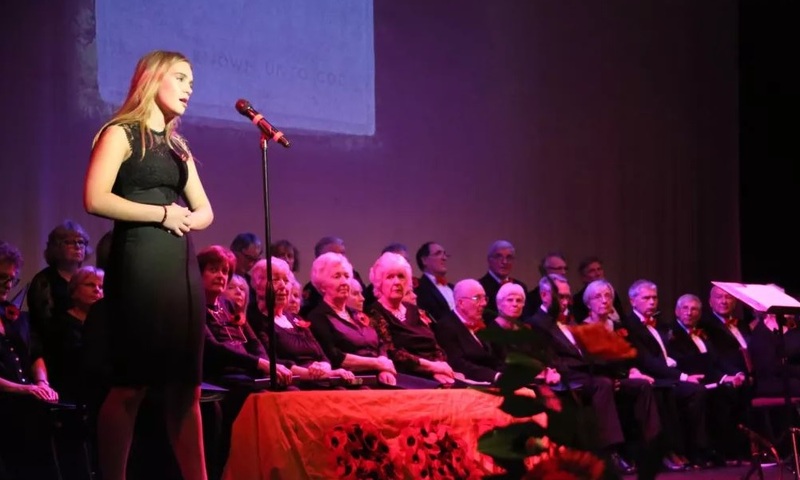 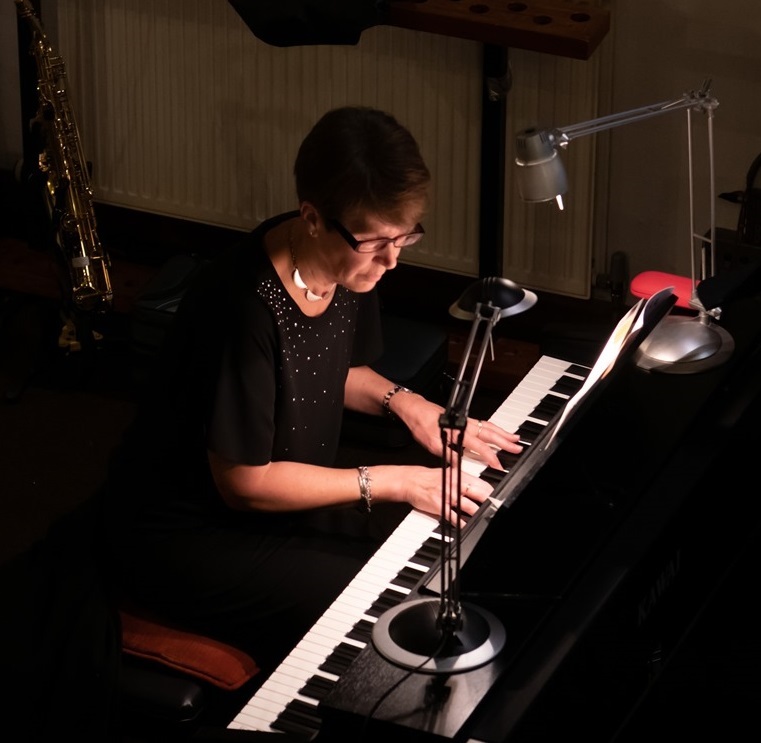 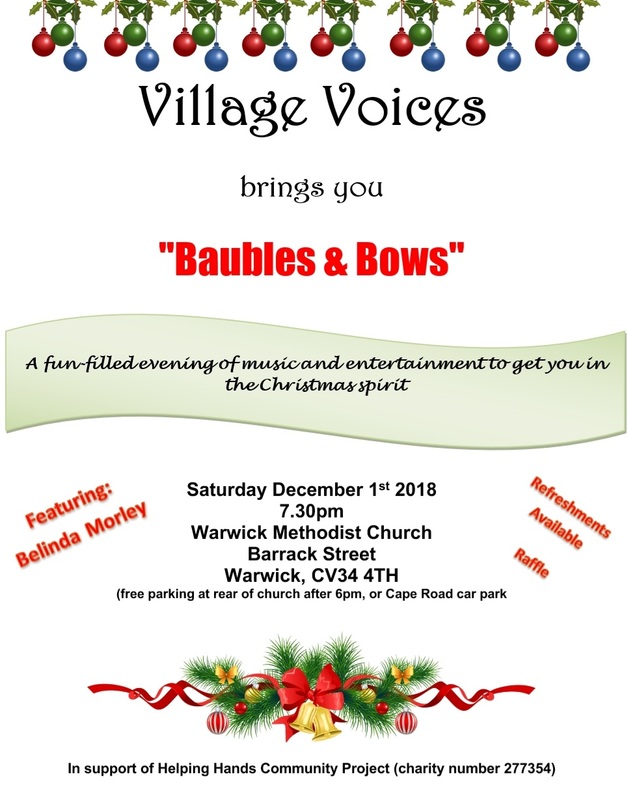 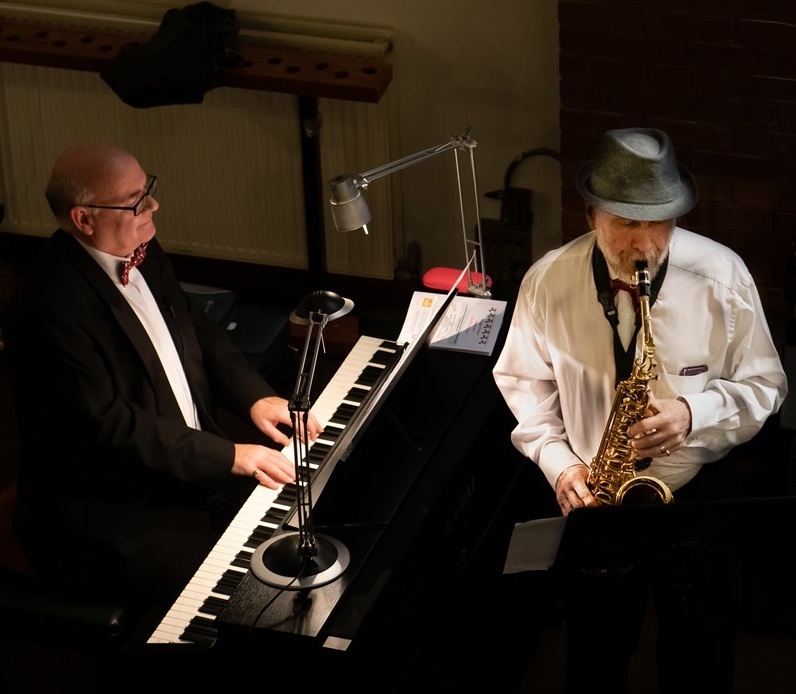 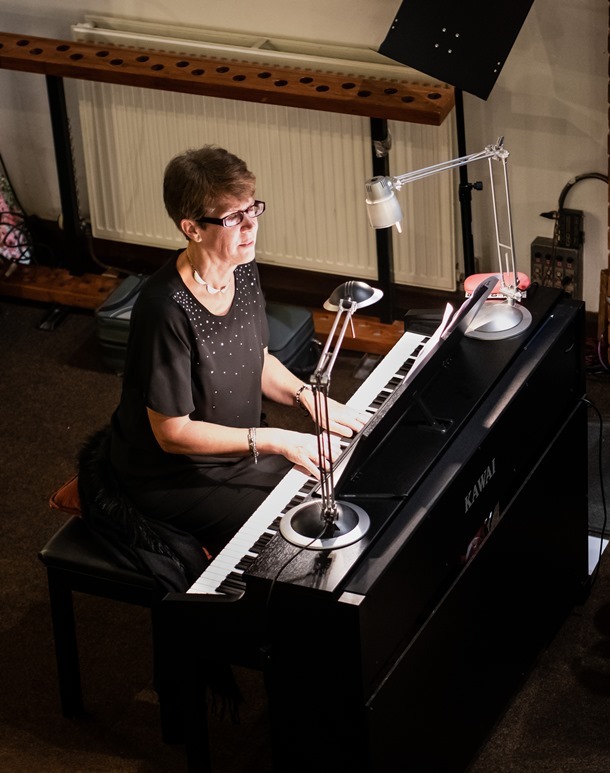 The concert took place at Warwick (Northgate) Methodist Church, raised funds from sales of tickets and programmes, refreshments and general donations. 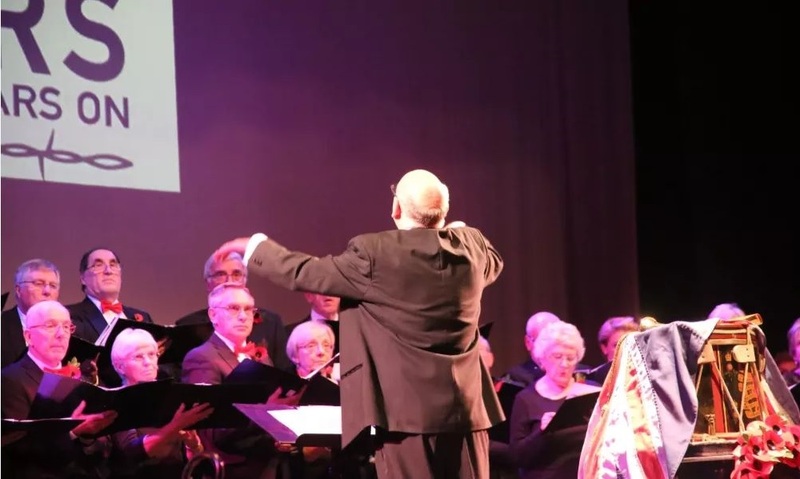 Manager, Gary Matthews and Support Volunteer Callen from Helping Hands spoke at the concert about their work. The money was presented to Charlotte Temple by Kevin Sumner on behalf of the choir. 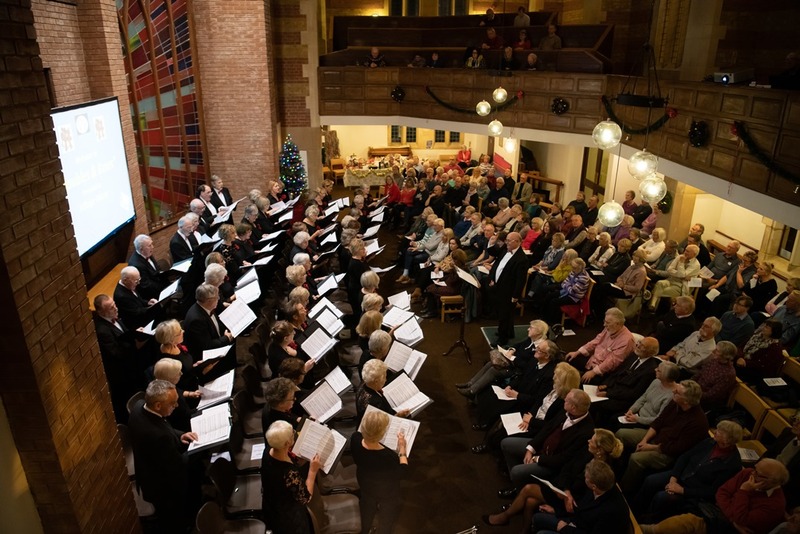 On receipt of the cheque for £1,350 Charlotte said that she was very grateful to the choir for choosing the Helping Hands Community Project to benefit from this year’s concerts. 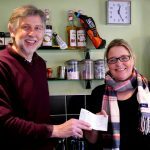 The monies will help fund on-going work in the local community. 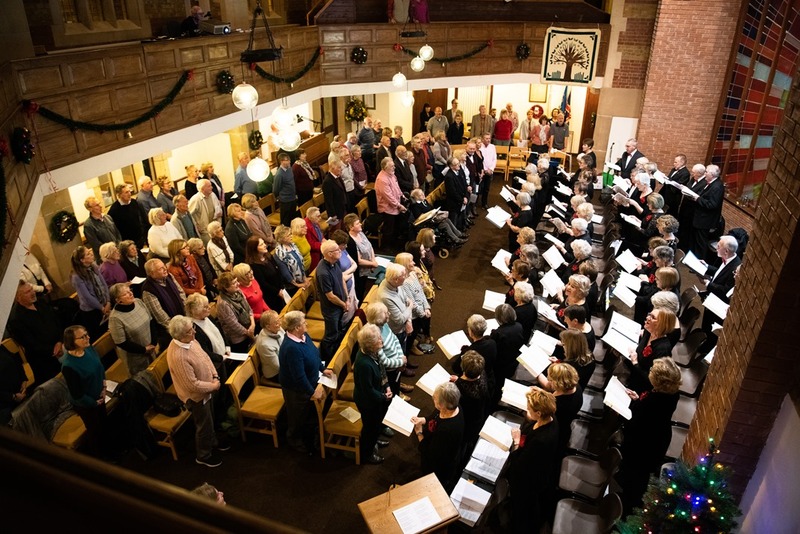 Helping Hands receive requests for essential items for local people in need eg carpets, curtains and furniture not provided when accommodation is made available. 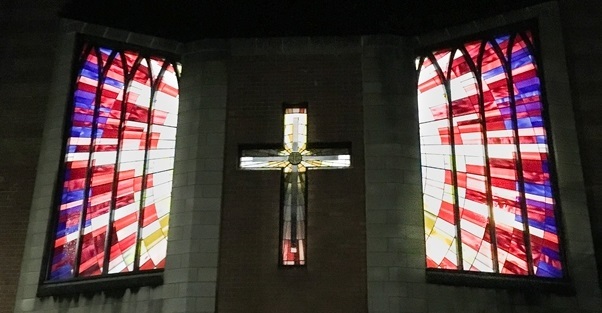 They request items on their Facebook page and the community generously responds by donating furniture, baby equipment, clothing, furniture to turn empty houses into homes. 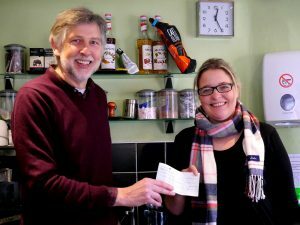 They have taken on running the Leamington Soup Kitchen, feeding homeless people and providing sleeping bags, quilts, clothing, footwear and toiletries plus advice and support. 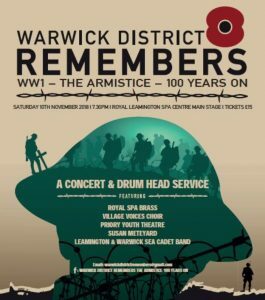 They are supported by local companies who provide the food. 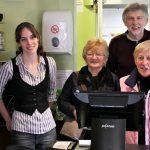 They have a charity shop in Leamington called The Lighthouse that also acts as a training shop for those training for NVQs in retail and customer service. 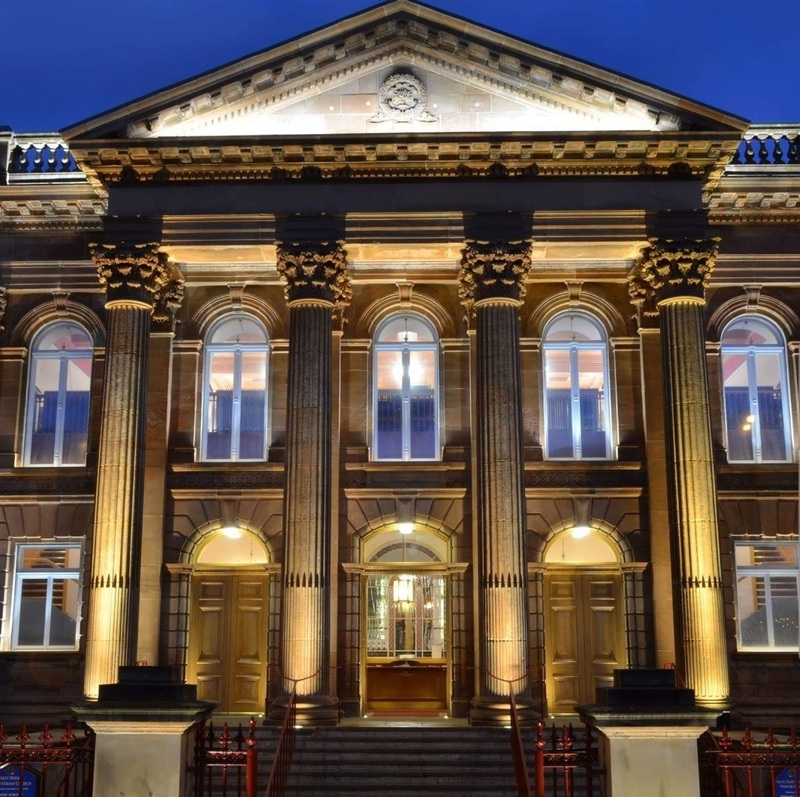 They also provide further support and training in the drop-in space in the Lighthouse. 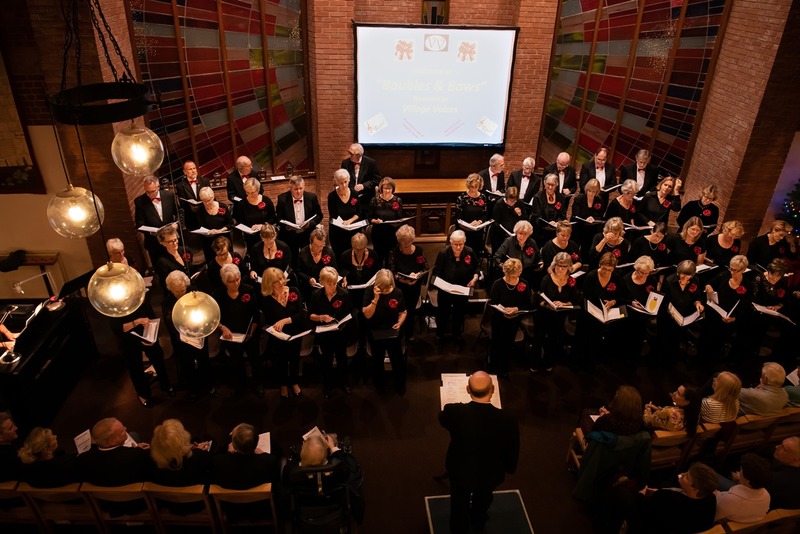 A registered charity in March 2015 they are governed by a small number of local trustees, they receive additional support and guidance from their advisory group. 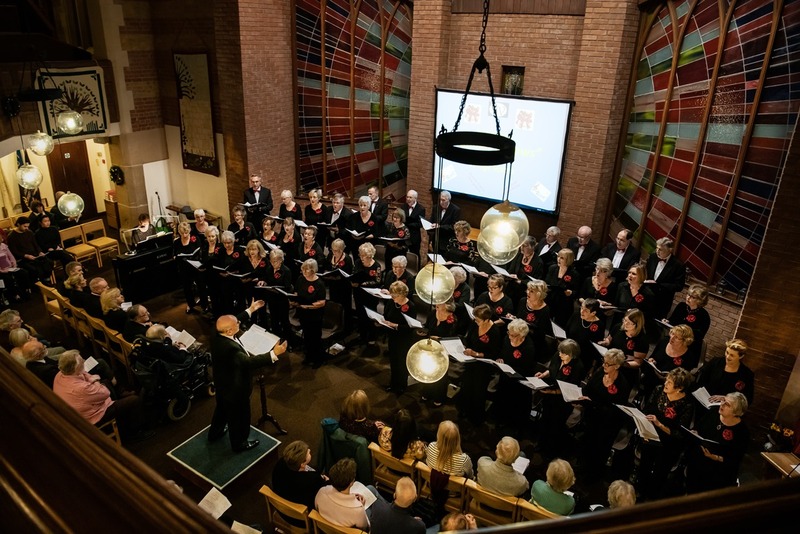 Singing at the Guild Chapel, Stratford upon Avon. 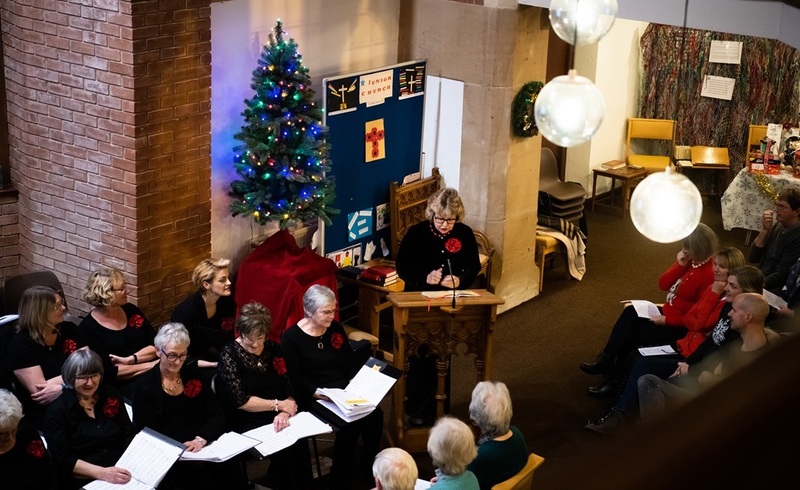 Readings and Carols in support of Springfield Mind. 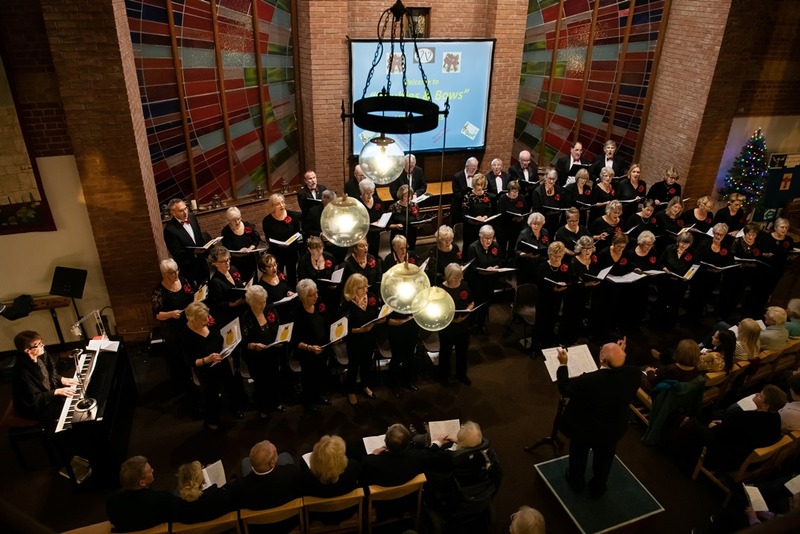 This was followed by refreshments in Stratford Town Hall.